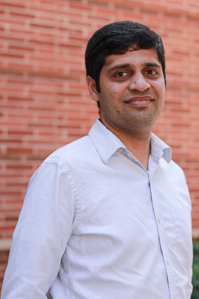 The University of California, Los Angeles has been selected to receive up to $5.9 million over four years from the Defense Advanced Research Projects Agency (DARPA) for the Spintronic Stochastic Dataflow Computing (SSDC) project. 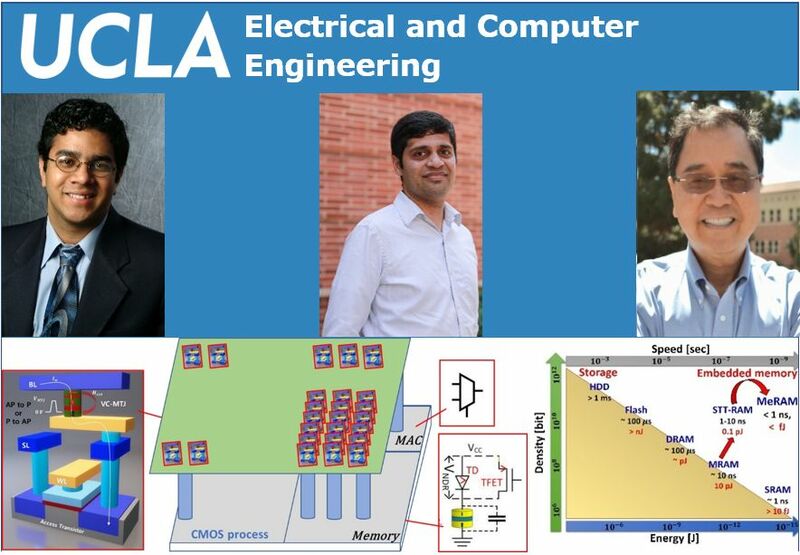 The project is a collaboration between UCLA Electrical and Computer Engineering Department faculty Prof. Kang L. Wang, Prof. Puneet Gupta, and Prof. Sudhakar Pamarti. The SSDC project aims to solve computing and communication energy problems for data intensive applications like machine learning. Today’s computing systems follow the von Neumann architecture, which has physically separate memory and processing units. This architecture is unsuitable for big data applications that require vast amounts of data to move between the memory and processing units. This forms a “memory bottleneck” that represents one of the most pressing technical challenges of big data hardware that the SSDC project is trying to solve. Several applications include artificial intelligence, virtual reality, deep neural networks, and new computer architectures. Any applications that require processing of large amounts of data would benefit from this research. The grant will be used primarily for the development of three new technologies. The first is a new memory called magnetoelectric random access memory (MeRAM) based on a voltage controlled magnetic tunneling junction (VCMTJ), which offers an attractive combination of size, non-volatility, energy efficiency, speed, and integration. The second is a new stochastic computing (SC) paradigm which enables ultra-compact units that can be parallelized and integrated with MeRAM on a large scale. The third development is an integrated circuit (IC) hardware that would integrate the MeRAM and SC on the same silicon die and achieve 60 times lower energy than the current best technology. Prof. Pamarti’s group specializes in integrated circuit (IC) design. His group will lead the development of read/write/control circuitry that will turn the VCMTJ device into the MeRAM. His group will also integrate the stochastic computing with the VCMTJ and develop more energy efficient integrated circuits. 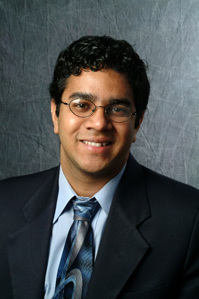 Prof. Gupta’s group specializes in circuit design automation and computer systems architecture. During project development this algorithmic expertise will be used for stochastic computation, especially in training neural networks and developing new computing architectures. 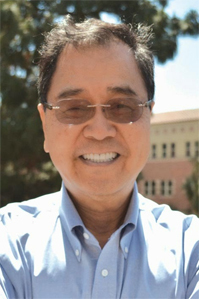 Prof. Wang’s group invented magnetoelectric random access memory and is the leader in the field. This is used for magnetic stochastic computing as well as a high performance low cost memory.